Giveaway Contests [edited] Not one, not two, but three different ways to get the book free! We’d really like to get We Never Stood Alone into the hands of as many people as possible as soon as possible. Now a lot of self-published authors use all kinds of cheesy gimmicks, like book giveaways to draw attention to the publication of their book. But we would never do that? Would we? So we have designed three separate giveaway contests for We Never Stood Alone and you can enter all three – and in each case you will be doing us a great favor by spreading the word about the new book. Contest 1: (website) Join the e-mail list. 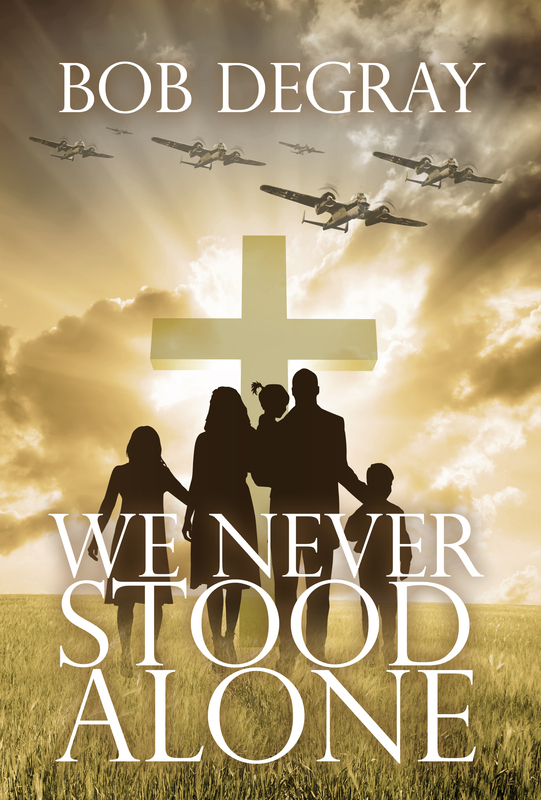 Everyone who joins our e-mail list between now and the publication of the book will receive two chances to receive two copies of We Never Stood Alone – one for you, one for a friend, your choices of format. If you’re on a regular browser now, the signup at the top of the right sidebar. If you’re on a mobile browser, it’s at the bottom of the page. Oh, mea culpa. Apparently, (and for good reason now that I think about it) Facebook doesn’t let you do ‘share’ contests, as they can violate a person’s privacy. So I’m changing this to a ‘like’ contest – like a post or the page and you will be entered. And Facebook does let me see that list. The only downside is notification – you’ll have to keep your eye on the ‘other’ box in your messsages, or become my friend. So the share contest becomes: Like Facebook posts or the page. If everything goes according to plan, we’ll add about two posts a week to the Facebook page between now and publication. 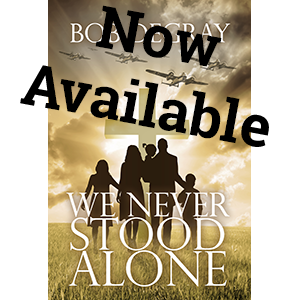 Every time you like a post (including this one) you will be entered in a contest to receive two copies of We Never Stood Alone – one for you, one for a friend, your choices of format. 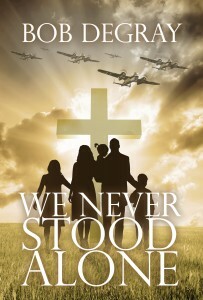 Contest 3: (Goodreads) In addition to all of the above, if you’re on Goodreads you can get a chance to win one of ten print copies of We Never Stood Alone. All you have to do is go to my Giveaway Page and enter the contest. We’re excited about the progress of We Never Stood Alone. 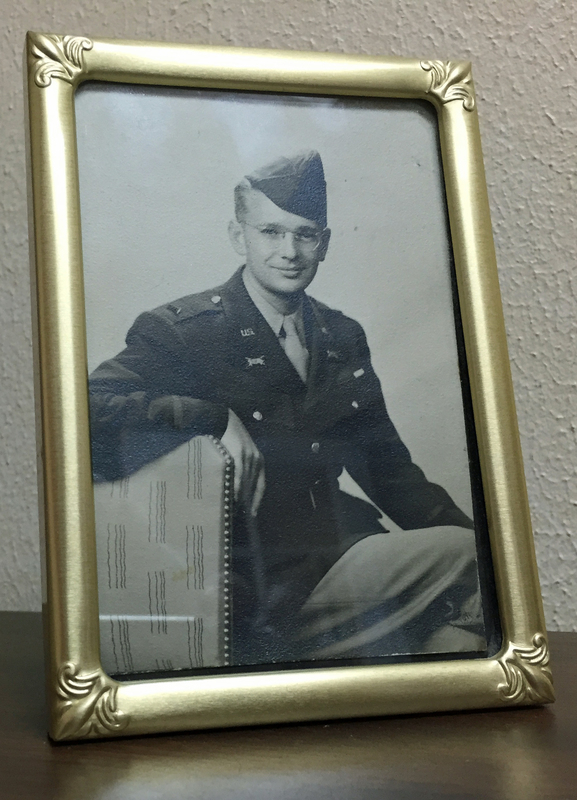 While we’re checking the proof copies, we’ll be sharing a few more posts of historical background, revealing more of the graphics, and announcing a release day. Stay tuned! I’m so looking forward to reading this book Mr. DeGray. My 8-year-old son Reuben is a huge fan of WW2, and he’s so impressed I know a guy that wrote a book about his favorite subject. Can’t wait to read it together.